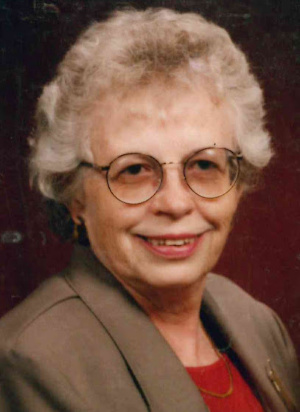 Janet Mae Smith, 84, of Woodcrest Villa, Lancaster, PA died on March 23, 2019 at Hospice and Community Care. Born in Lancaster, Janet was the daughter of the late Earl W., Sr. and Iva H. Immel Bowman. She was the wife of the late Joseph A. Smith, Jr. who passed away in 2000. Her first husband, Gilbert S. Kauffman died in 1984. Janet was an active member of First United Methodist Church. She loved working in the kitchen; cooking and baking were her passion. She also enjoyed gardening and sharing her vegetables with her friends and neighbors. She retired from HDJ in 1995. She is survived by a daughter, Barbara A., wife of the late John Stansbery, Jr. of Aurora, CO; 3 grandchildren, John E. Stansbery III (Amy); Kurt R. Stansbery; and Amanda R. Fletcher (Jeremy); 3 step-children; Joseph Smith, Jr. (Connie); Merry Stewart (David); and Darrel Smith (Kathy), many grandchildren, numerous great-grandchildren, and numerous nieces and nephews. In addition to her husbands, she was predeceased by her brother, Earl W. Bowman, Jr. and her sister, Pauline Wickenheiser. Friends and relatives are respectfully invited to attend a graveside service on Monday, June 24, 2019 at the Bethesda United Methodist Church Cemetery, 1086 Hilldale Rd, Holtwood, PA 17532 at 11:00 AM. Janet RIP. I will always will remember you. I sure have a lot of memories with you. I will miss you Your in a better place. Janet was married to my Uncle Joe for only a few years, but they were happy years for him. She was good to him and for him. My deepest condolences to her family.